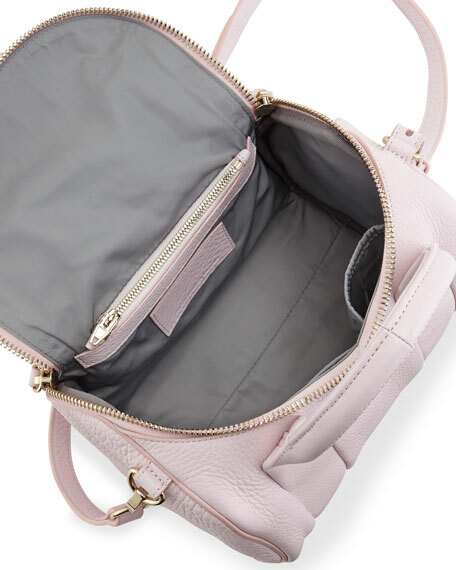 A more compact version of the Alexander Wang Rocco duffel, the Rockie crossbody features a sporty zip top with the signature studded base. 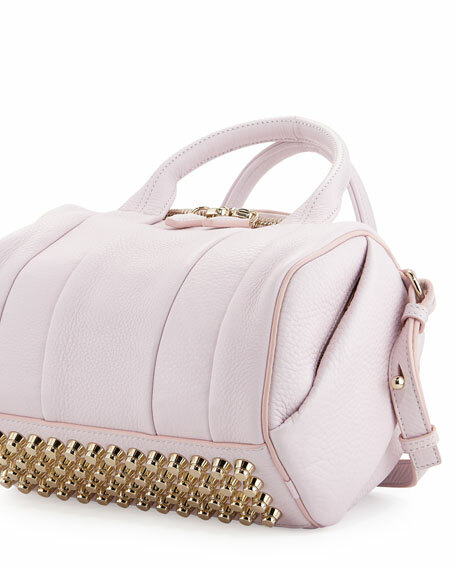 Alexander Wang Rockie in Italian lambskin; yellow golden hardware. Topstitching at folded top handles; 4" drop. Removable, crossbody strap; 19" drop. Vertical zip pocket on side. Interior, nylon lining; one zip pocket and two open pockets. Fifty-six studs adorn base of bag. 9"H x 10 1/2"W x 3 1/2"D; weighs 2lb. 10oz.